Deputy Sheriff Richard Lawton was shot and killed in Russell when he attempted to arrest a man at a home on Russell Street, in Russell, on a warrant charging threats to assault his wife. The 63-year-old suspect was arrested minutes later by a local constable. On January 29th, 1917, the man pleaded guilty to second degree murder and was sentenced to life in prison. He died on July 17, 1920, shortly after being released from prison. 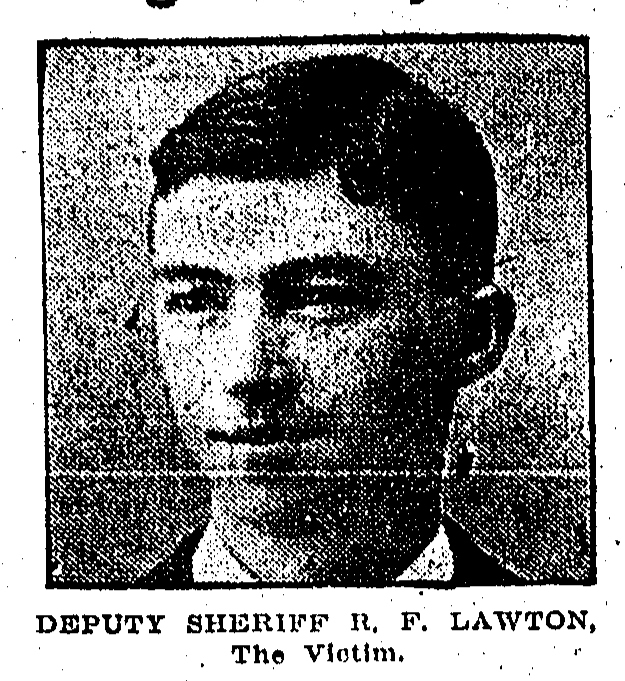 Deputy Lawton had served with the Hampden County Sheriff's Department for five years. Sir, last year when I left a reflection for you I got the anniversary of your End of Watch wrong. Please forgive me I won’t make that mistake this year. On today, the 102nd anniversary of your death I would just like to say thank you for your service and sacrifice for the citizens of Hampden County.